The quart bottle of U SHIELD has a self-measure cap. When purchasing the gallon or half gallon size of U SHIELD, please read the directions for use below and choose the appropriate size pump. 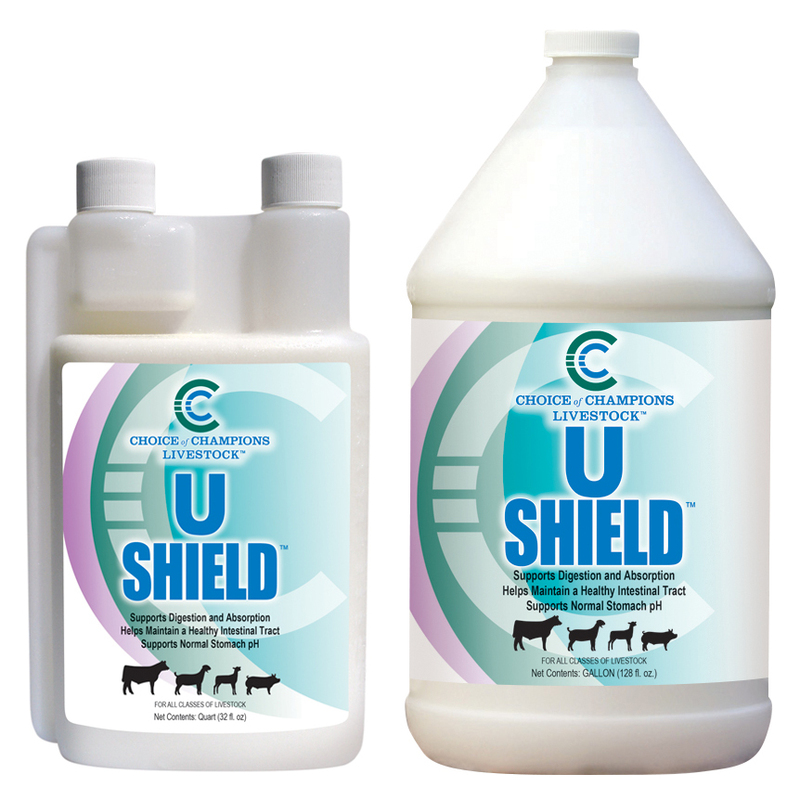 U SHIELD begins to work upon ingestion and can be administered directly into the animals mouth. Signs of stomach concerns may include poor appetite, lack luster condition, behavioral changes and declining performance. Add U SHIELD to your animal’s daily food to promote healthy weight, excellent appetite and calm temperament.